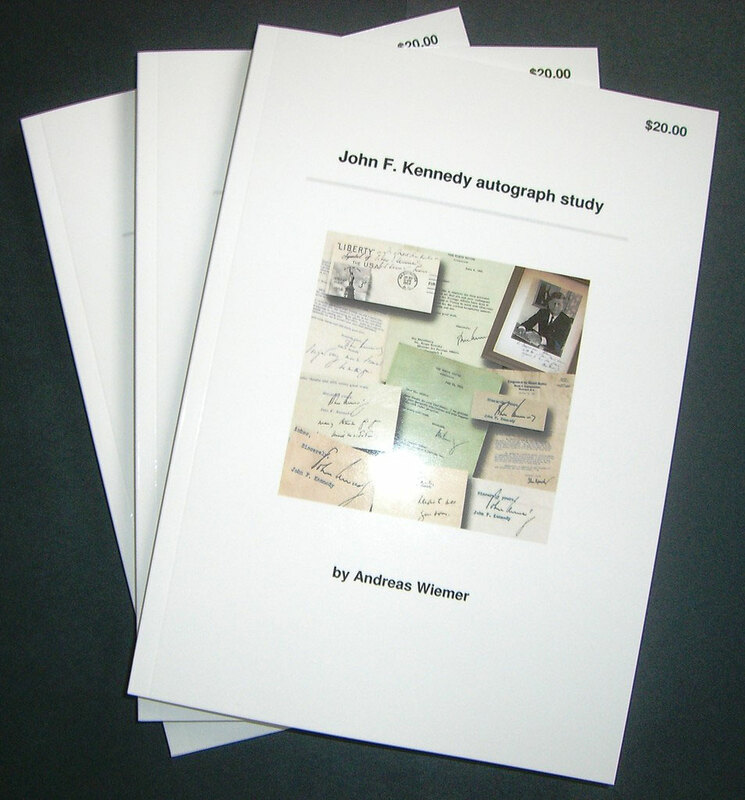 Wiemer, Andreas, John F. Kennedy autograph study, First edition, Germany 2013, 86 pp, Softcover. The standard work for Kennedy autographs! 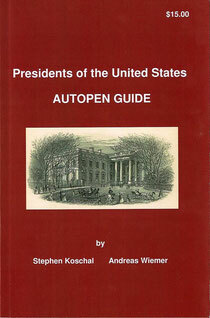 Wiemer, Andreas & Koschal, Stephen, Presidents of the United States, AUTOPEN GUIDE, first edition sold out, second print now available: United States 2011, 94 pp, Softcover. 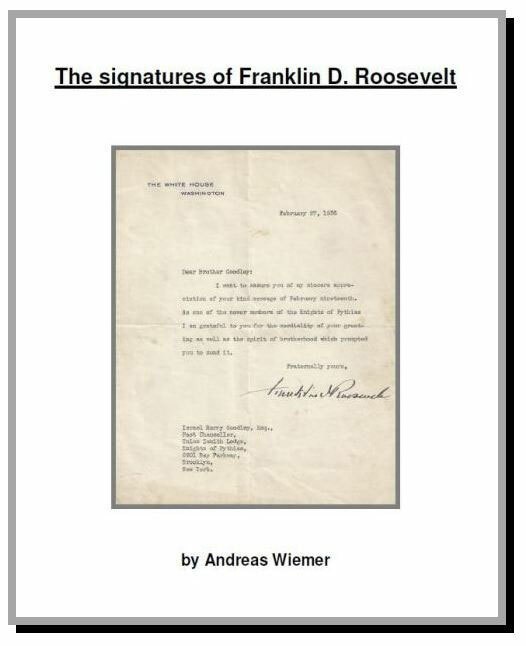 This is the first time all known presidential Autopen signatures can be found in one book starting with Dwight D. Eisenhower until the first known Autopen of Barack Obama. Attempting to duplicate ones handwriting dates back to the early 1780's. Many contraptions were created for this purpose with names such as polygraph, pantograph, copying press, stylographic writer and mechanical writer, Signo, Tin Man, Robot Signer, Signa-Signer and several decades ago, the Autopen. 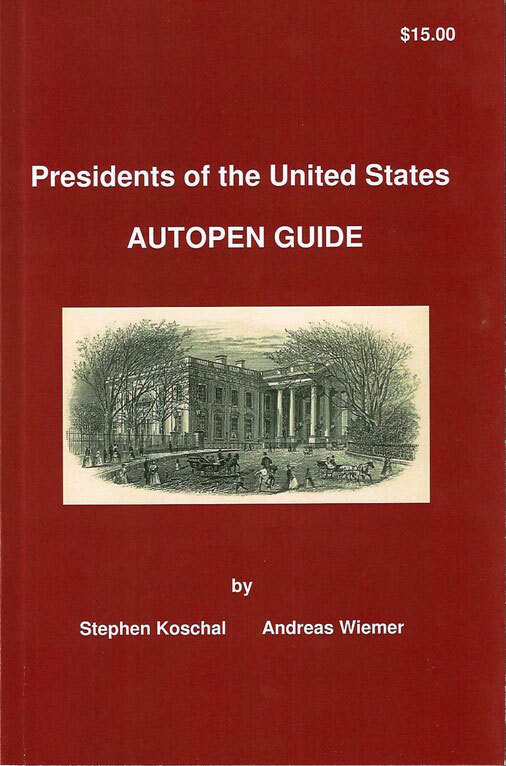 Much has been written since the mid 1960's about the Autopen in autograph reference books. 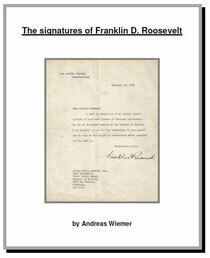 Autograph authentication continues to be one of the major problems in the autograph industry. It's nearly impossible for a new collector to be able to determine whether a signature is genuine, stamped, printed, secretarial or signed by the Autopen. Only some people with decades of experience and a large reference library are capable of knowing the difference. 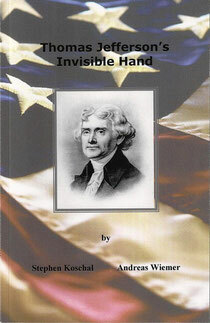 Wiemer, Andreas & Koschal, Stephen, Thomas Jefferson's Invisible Hand, First edition, United States 2007, 69 pp, Softcover. For many years it has been known that Thomas Jefferson used a machine to duplicate his correspondence. Only the mention of the machine "polygraph" can be found in various autograph reference books. However, until now, no articles about this important Jefferson invention have been published by any of the major autograph associations around the world. 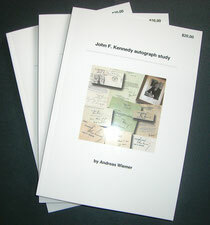 Most collectors are aware of the word “polygraph”, but they cannot visualize it nor do they understand how it operates.